1. 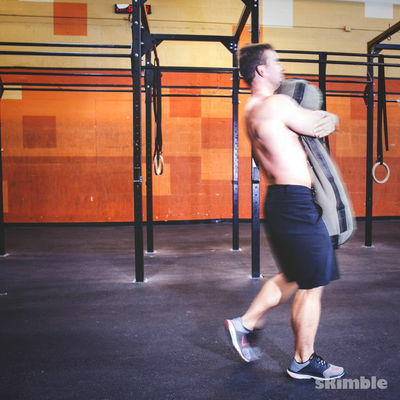 Start by squatting down and grab a sandbag with your left hand on the outside of your foot. 2. 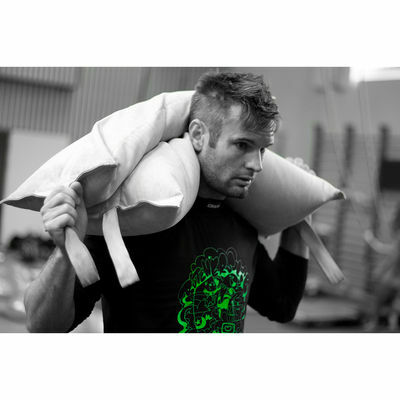 Proceed to stay in the squatted position and laterally walk to the side dragging the sandbag about 20 yards.